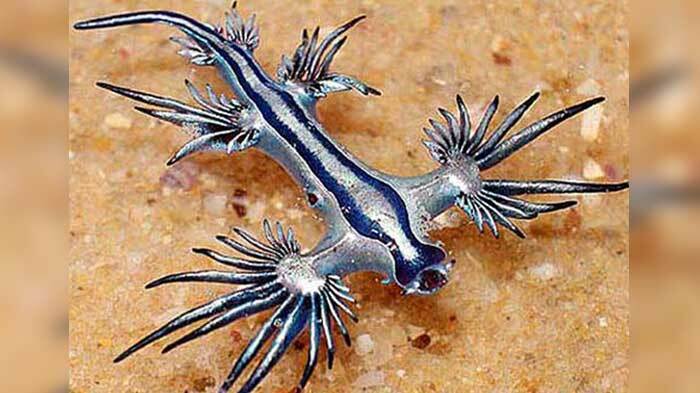 Don’t be fooled by this ‘cute looking’ creature. 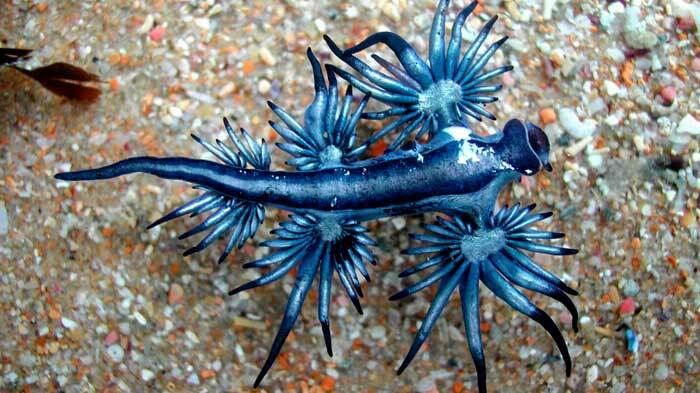 As beautiful as it looks, it has a powerful venom that can kill you in seconds! 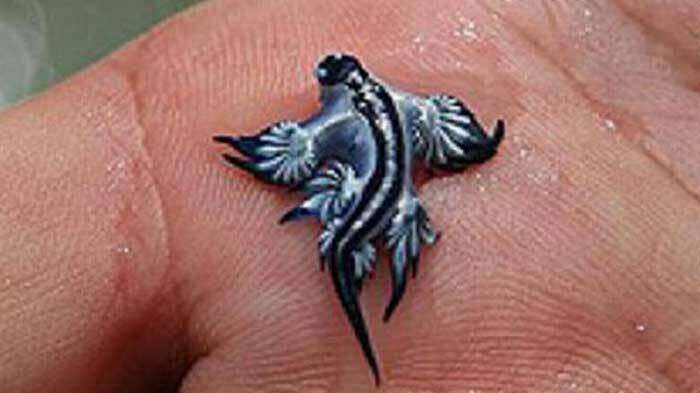 The scientific name of this creature is Glaucus atlanticus but people have been calling it The Blue Dragon because, well, it suits it better. The cool white stripes on its skin are not just for show off, they help it camouflage so that the predators, both above and below, won’t eat it. 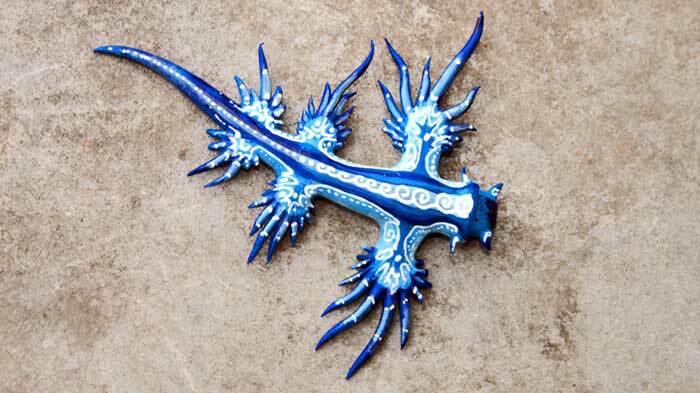 The Blue Dragon floats on the ocean’s surface belly-up, showing it’s deep blue belly, which blends in with the blue of the sea. His back is also striped silver which makes it difficult for underwater predators to see it against the surface of the water. 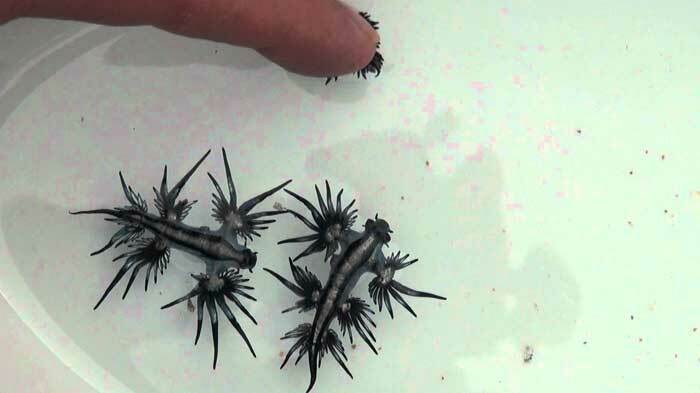 One of the craziest hings about this animal is that it feeds itself of jellyfish venom. 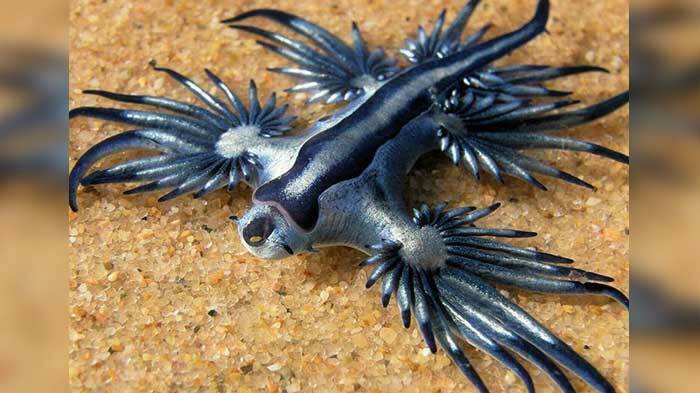 It’s favorite snack is the Portuguese Man which has a particularly painful venom. Though the Dragon eats some of the venom, he stores the majority of it in its own tentacles. This concentration makes it more dangerous and capable of making a grown man cry his eyes out.